Choose from over 1000+ Fabrics from the top fabric mills in Italy and Britain. 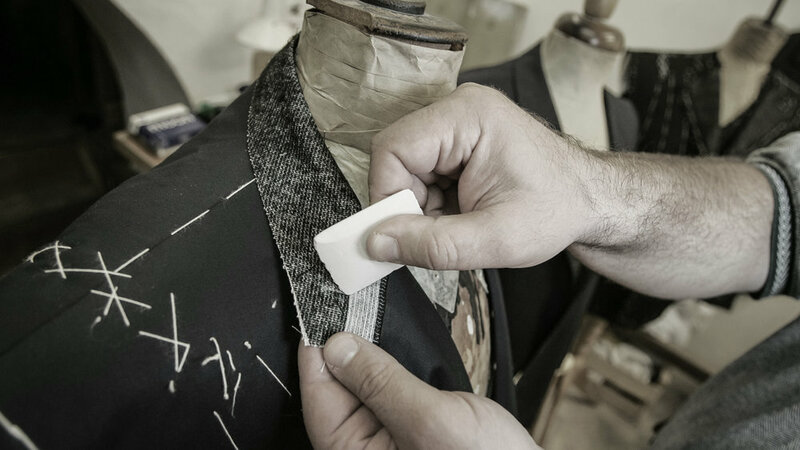 Design your own made to measure clothing that represents your personal style, from the fabric, to the details and most importantly to the fit made to your exact measurements. Robert Stanley Custom Shirt Program allows you to create a one-of-a-kind, perfectly fitted, hand-tailored shirt from a selection of over 500+ handpicked fabrics. Your suit is the backbone of your look, however, the shirt and accessories are the key elements that tie it all together. Design your own, Handmade In Spain, Robert Stanley Shoe using our 3D Creator Tool. With over 60 Billion customization options, and the finest quality materials, we deliver a product that you won't want to take off. Step inside our world.